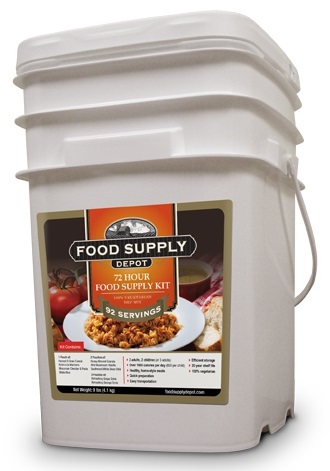 35%-off a Premium 72-hour Emergency Food Bucket! We've got key "Food For Health" and "Food Supply Depot" products in stock for prompt shipping, and we've lowered prices! FYI, these foods are premium-quality health foods: 100% vegetarian, 100% non-GMO, no hydrogenated oils, trans fats, or MSG. Freeze dried and dehydrated selections--just add water and cook. 20-year shelf life, award winning taste and nutrition!